Take the kids for a walk to collect bits of plants to make their own pressed leaf terrarium. 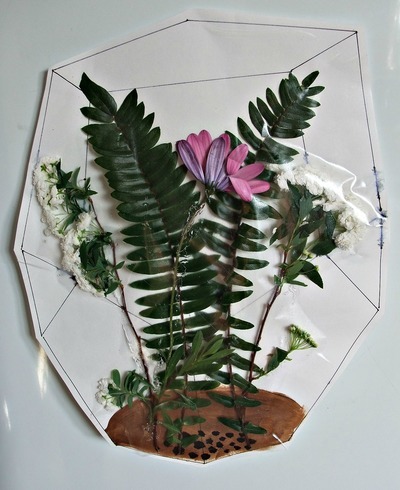 Sketch out a terrarium shape for the kids. They can paint in the brown dirt. Add glue to the paper and press plants down onto it. Layer over a sheet of clear contact. Run hands along over the contact to smooth it out. Cut it out and put up your pressed plant terrarium.